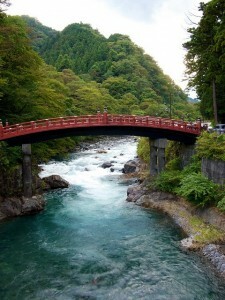 Nikkō Tōshō-gū (日光東照宮) is a Shinto shrine located in Nikkō, Tochigi Prefecture, Japan. 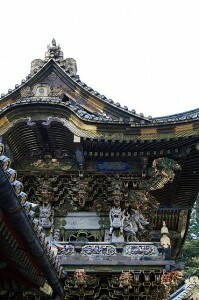 It is part of the “Shrines and Temples of Nikkō“, a UNESCO World Heritage Site. To-sho-gu is dedicated to Tokugawa Ieyasu, the founder of the Tokugawa shogunate. Initially built in 1617, during the Edo period, while Ieyasu’s son Hidetada was shogun, it was enlarged during the time of the third shogun, Iemitsu. Ieyasu is enshrined here, and his remains are entombed here.